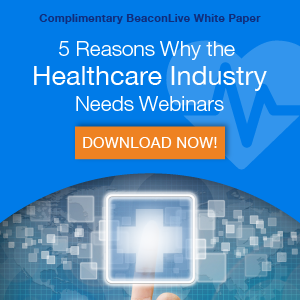 Having your conference, meeting or presentation professionally recorded and broadcasted on the web isn't just possible when you partner with BeaconLive. Our robust event technology and professional webcast solutions come with full-service support, delivering a high-definition experience regardless of the size of your event. No hassle. No worries. Simply leave the heavy lifting and virtual delivery to our expert Event Services Team, and you can focus on your event’s content. Already have a team to capture your event? Utilize our intuitive technology to stream live footage to your virtual attendees! From registration to post-evalutation, your audience will participate in a fully branded experienced. Have our on-site Event Services Team film and broadcast your event to your virtual audience. Your attendees can access our platform to ask questions, participate in quizzes and surveys or collect CE credits! Complimentary resources to help you engage and impress your target audience. Want to learn more about our webcast solutions? 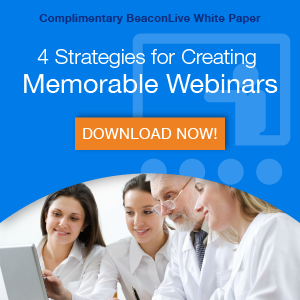 Find out how BeaconLive can help you broadcast your next meeting or event!